Parsley is a highly nutritious herb with origins in the Mediterranean and southern Europe that was known for its medicinal properties before culinary use. There are two varieties found in the markets and menus: curly leaf (most commonly used as a sprig garnish on plates) and flat leaf (Italian Flat Leaf, used in pasta and Mediterranean dishes such as tabouleh). 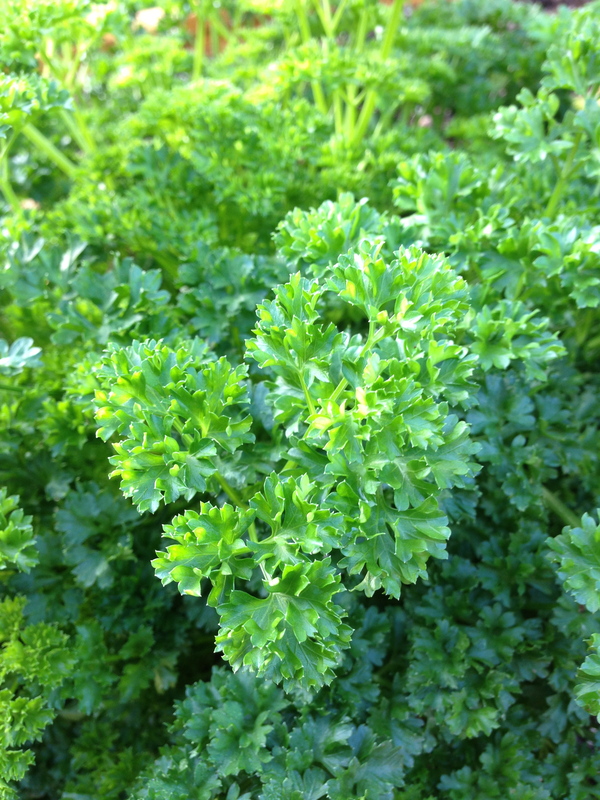 – Always wash and dry your parsley well before eating. 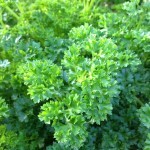 – Parsley can be eaten raw, chopped and sprinkled on salads and other dishes, used pestos, or juiced. – It can also be eaten cooked – usually added to dishes at the end of cooking to retain brilliant green color, nutrition and flavor. Select bunches vibrant in color and free of browning or wilt. Store in bag in refrigerator for up to a 4-5 days. 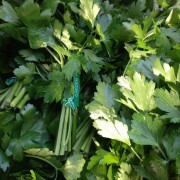 Flat leaf can also be chopped and frozen, if to be used in cooking.